Founded in 2004 Dafabet has put in a lot of work to get its brand on the front line. You would have seen their logo by now, probably on football jerseys down the years, thanks to Dafabet being official club sponsors of Celtic, Fulham and Sunderland. They are also the official betting sponsor to the Welsh national football team and Leicester City Football. They have dipped a toe into snooker with their sponsorship of the Masters at the Alexander Palace since 2014. With all of their strategy to get their brand out, let’s see what their website and mobile version has to offer. Dafabet currently has a welcome bonus offer of up to £/€30 in free bets when you place a bet of £/€10 or more. Deposit £/€10 or more into account and place a bet of £/€5 or more up to £/€30 (no lower than odds of 1/2)and if your selection loses you will be refunded your stake in the form of a free bet into your Dafabet account within 24hrs of the settlement of the bet. Dafabet also offers a number of good promotions for new and existing customers which we will look at now. This offer gives you the safety net of a free bet on your football accumulator if one selection in your accumulator fails to come in. Place a bet of up to £/€30 on a 6+ accumulator (pre-match football) and if one selection leaves you down then Dafabet will refund you your stake in form of a free bet which will be credited into your account within 24 hours of the placement of your first bet. This free bet cannot be used with any existing promotions. The free bet stake will not be included in the winnings when the free bet is used. If you like your first goalscorer bet (pre-match) then this is quite a good promotion. Place a bet of £/€1 or more up to £/€50 and if you first goalscorer bet does not score but goes on to score the second goal of the match, then Dafabet will refund you your bet stake in the form of a free bet by 7.00am of the following day. The free bet stake will not be included in the winnings when used. Place a single bet of £/€1 or more up to £/€50 on pre-match full time, HT/FT score, and if the game finishes 0-0 (90 Mins) then Dafabet will refund you your stake in the form of a free bet within 12 hours of the final whistle of the game. The free bet stake will not be included in the winning when the free bet is used. This offer ensures that you will have the peace of mind of backing a horse and not miss out on better odds if the horse/horses you backed SP is greater then the price that you took. This offer applies to single and multiple bets. Free bets can be used with this offer. This does not include anti post markets in the UK and Ireland. Visually, Dafabet sportsbook is a nice clean, crisp, user-friendly system. The homepage is easy to use: whether you want to a bet on the weekend’s football, find the next Gold Cup winner or try to conquer America with an NFL bet, there is something there for every punter. Dafabet also offers football price books on selected markets each week where you will get a bigger price of certain bets such as a pre-selected first goal scorer, correct score to name a few. The range of in-play markets is endless, from football, NFL to a cold winter’s day curled up watching the madness that is GAA. If you’re watching it, then there is a good chance that you can place an in-play bet on it at Dafabet, with the quick and easy in-play option. If you are not into your sports betting then Dafabet also offers special bets with odds for the likes of popular shows such X Factor, Strictly Come Dancing and Sports Personality of The Year to name a few. Dafabet has two ambassadors, Jimmy White and Steve McManaman, featured on sportsbook in their blogging section. Jimmy White is a snooker legend with 10 major ranking tournament wins to his name, along with 6 World Championship final appearances. This master snooker player casts his expert eye on all the major snooker news and betting, and with his expert view and knowledge, helps to point you in the right direction to making a profit. The former Liverpool, Real Madrid and Man City player, Steve McManaman gives you his honest and frank view on all the weekend’s football action. With Steve’s weekly ‘Maccas Tips’ he tries to find you the best chance of breaking down the weekend’s game into a nice profit for the weekend. Also featured in this section are interviews that you can read and listen to from 2015-2018. This will help you make your own mind up whether the experts are really experts. The mobile version of Dafabet sportsbook is smooth, fast and easy to use. The speed of transition between sections enables you to be confident that you will not miss out on that last-minute tip that you got from the lads or the last second of inspiration for the weekend accumulator. The set up is nearly a mirror image of the website, so if you are a regular user of the website, then it is very easy to go from one platform to another. Even though there is a mobile version currently up and running, there is no iOS or android app available to download just yet. Dafabet provides very good customer support, with a 24/7 live chat option. This is a valuable service if you have any questions to do with betting or have a problem putting on a bet. You can also contact Dafabet through email. There are two separate email addresses for customers from the UK and customers from Ireland. Their social media outlets (Facebook / Twitter) also provide another way to get in contact with the betting firm. They provide contact numbers and email address if you want to get in touch with their marketing or affiliate departments. A free phone number is also available in the ‘contact us’ section. Live Chat Live chat is located in the contact us icon at the top of the sports book. Once in simply click on the live chat section and you will have instant access to a member of Dafabets online team. Dafabet website is licenced and regulated by the UK Gambling Commission. Basically, what this means is that they have to be honourable in their dealings with you. If you have a Visa, Maestro, Mastercard, Visa Electron card or use Skrill or Neteller accounts, then you’re in for an easy time depositing. There is a minimum deposit limit of £/€10 on each of the above options. When depositing into your account, you will not be hit with any hidden charges lurking in the dark. With the lack of betting shops in the UK or Ireland, it is always going to be a negative if the average punter is unable to go and collect their winnings from the betting shop. Withdrawal – 3-5 business days. Withdrawal – 3-5 working days. Withdrawal – 30 minutes to 1 hour. From the easy set up to the good in play betting set up, Dafabet is a solid, reliable and easy to use website/mobile sportsbook. Dafabet main customer focus seems to be mostly focused on football with the endless betting options on a wide range of leagues around the world. All in all, its sportsbook is a simple and reliable set up for any new or existing customers. Dafabet was founded in 2004 by the privately-owned company AsianBGE. It is a big player in the Asian market and is now deep into its course of break into the UK and Irish market. The Asian side of the business mainly operates from its base in Makati, Philippines, where the UK and Irish base is run from the Isle of Man under the same operation. They have now introduce their band in the fast-growing sport that is eSport by investing in the Fnatic organisation. While Dafabet is a very easy website to negotiate your way around, it lacks in the ‘wow’ factor. Also, the lack of live streams of football and horse racing hold it back in my view. While they have invested in eSport organisation Fnatic it is strange that they have not capitalised on this by introducing it into their sportsbook. 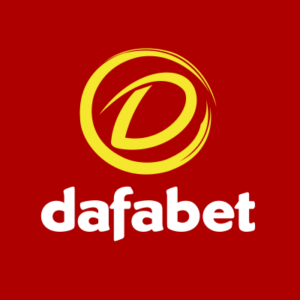 Dafabet has established itself as one of the leading sportsbooks in Asia, but it still has a way to got to get to the level of some of the main sportsbook sites that are available in the UK and Ireland. That said if you don’t like the complicated set up of the bigger more established firm on the net, then Dafabet could be the site for you.